Cloud and mobile enhance productivity and collaboration among enterprise users, but can also introduce the risk of data leakage if they are not properly secured. The mobile phone is no longer just about calls or texts – it’s also about apps. Similarly, security is no longer just about the corporate network – it’s about securing your data wherever it goes. To achieve the above, enterprises must understand the shared responsibility model of security. In this model, cloud service providers like Amazon and Salesforce take responsibility only for the “security of the cloud,” meaning the infrastructure and underlying items that keep the cloud functional. “Security in the cloud,” on the other hand, involves securing the use of the cloud, and is the responsibility of the enterprises deploying cloud services. “Security in the cloud” revolves around identity, visibility, data protection, and threat protection. Upon realizing the specialized knowledge and technology that these require, many entrust their cybersecurity to cloud access security brokers (CASBs) so that their companies can focus on the things that they do best. For those that are unfamiliar with the technology, think of a CASB as a visibility and control point in the cloud that can monitor traffic from the time a user logs in to the time that she or he logs out, enforcing risk-based policies as needed in real time. 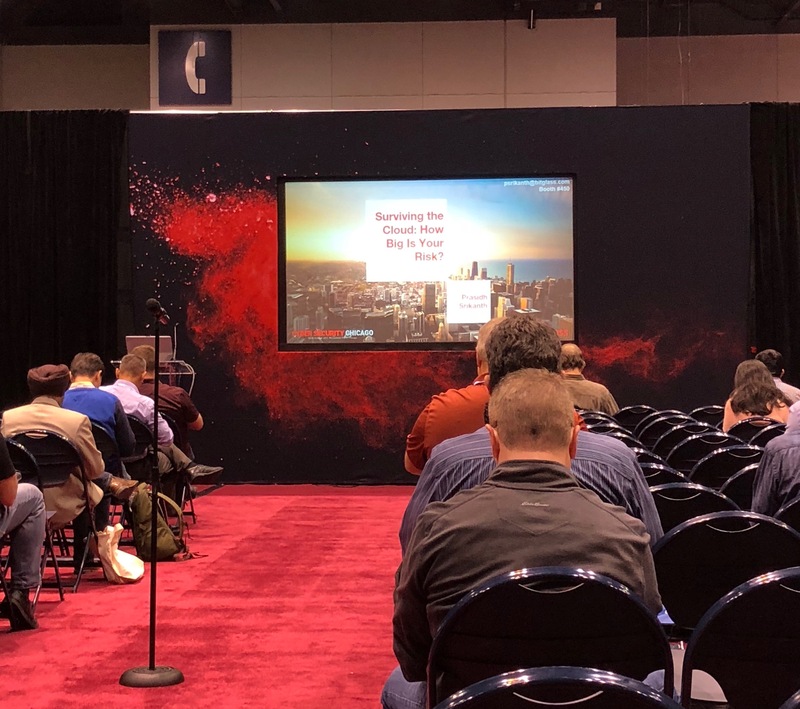 During the conference in Chicago, we informed many companies about the things to look out for when they evaluate competing cloud access security brokers. As the Next-Gen CASB, Bitglass’ unique value proposition about securing any app and any device was very well received by the show’s attendees. Our agentless architecture was the standout feature throughout all of our discussions. As no software installations are required, there are no interruptions or headaches for users and IT departments. This is a massive departure from other tools that require the use of agents. Bitglass’ real-time security features protect your data everywhere, whether you’re in the office, at a Starbucks, or at home. Regardless of the user, app, device, or location, the Next-Gen CASB offers comprehensive visibility and control in real time. To see Bitglass in action, schedule a demo today.